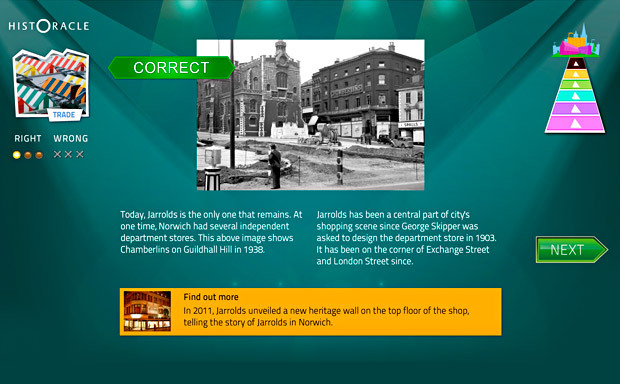 Norwich Heritage Economic and Regeneration Trust (HEART) required an engaging public interface for 'HistOracle' - a database of Norwich history that they had created in collaboration with the University of East Anglia (UEA). 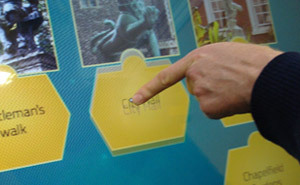 The touch-screen design had to impart local history to a diverse audience passing through the busy Norwich Forum. Ugly Studios led an interpretive planning exercise with HEART, UEA and the Forum Trust. 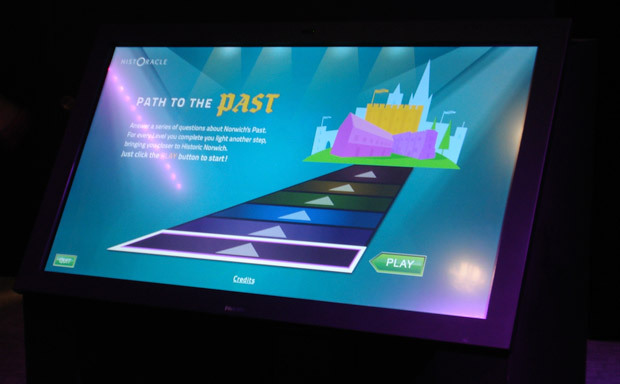 We designed and produced the final screen based on the interpretation plan and interactive designs that came out of the process. 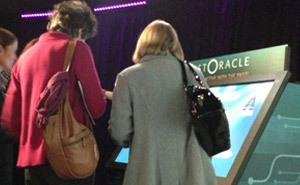 The screen was on display in the Forum for over two years. For the first six months it was in use 34% of the time the building was open. As time went on, usage dropped, but interestingly visitors got more questions right, suggesting that it had achieved its main learning objective. Their knowledge of touch-screen development, user interaction, and their commitment to making interactive experiences the best they possibly can be is commendable. Christopher Wilson, Former Digital Media Officer, Norwich HEART. 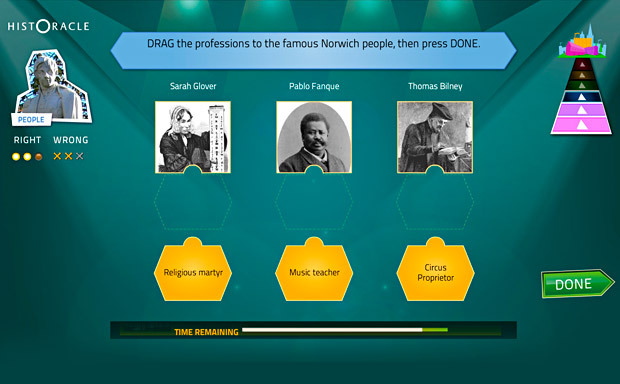 The interactive is made up of a series of questions about Norwich's past. After answering a question visitors get feedback and extra details. 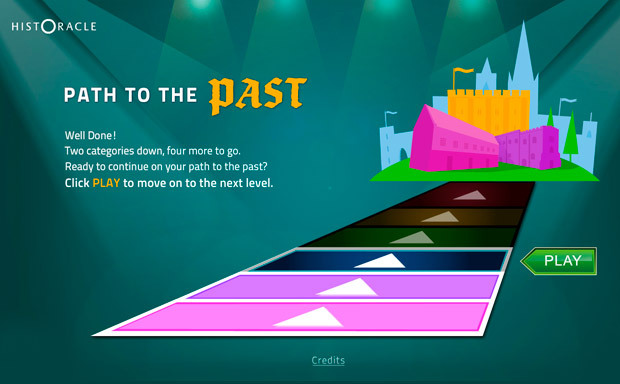 The path screen shows visitor progress through a series of categories leading towards medieval Norwich.